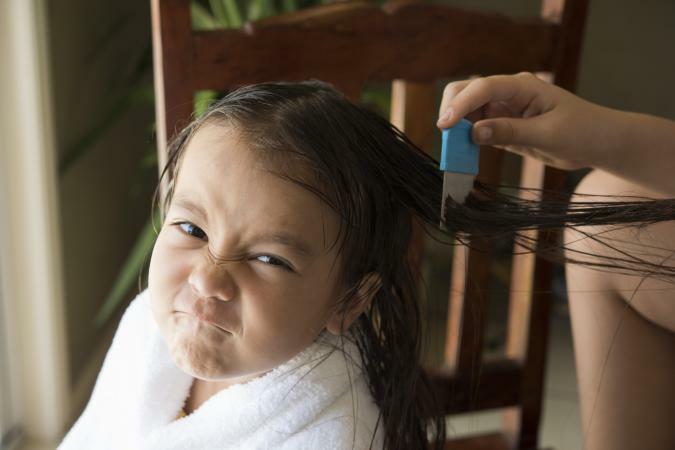 The removal of lice and nits is crucial, but finding a permanent solution can be challenging. Though drugstore shelves are lined with products, not all of them have a high success rate. In fact, some don't work at all. Head lice lives in the hair and scalp of human beings. These parasitic insects develop in three different forms: nits, nymphs and adults. Nits are eggs that are firmly rooted to the hair shaft. They can be difficult to see and are often mistaken for dandruff or bits of dry hairspray. If you are not sure what nits look like, picture oval-shaped eggs that are either white or yellowish-white. Nits take a week to hatch. Once they do, they are known as nymphs. Nymphs are immature head lice that feed on blood to survive. Within seven days, they will mature to the adult louse stage. Adults are grayish-white, have six legs, and are typically the size of a sesame seed. They also need blood to survive and may live for up to 30 days on the scalp. There are many symptoms of head lice to watch out for, such as itchiness, head sores, and irritability. There are a number of ways to get head lice including direct contact with another person or sharing things like hats, scarves, brushes, and towels. No one is immune to this issue. However, it is more common amongst school aged children. According to the Parents article The Facts of Lice, girls are infected more often than boys as they tend to have longer hair. The same can be said for adult women. Though anyone can be infected with head lice, families with children are at a much higher risk. There are plenty of removal methods out there. One glance at a crowded drugstore shelf is proof of that, but do the products actually work? People have experienced varying degrees of success. The reason for this may be related to product-resistant lice, which was highlighted in the CBC News article "Head Lice: Most Treatments No Longer Very Effective". Even with the increased resistance that often appears, however, there are treatments that may work. Here are some of the most commonly used (and effective) drugstore remedies to relieve you and your family of this irksome problem. Nix: Nix those nits! Nix Head Lice Treatments are formulated to eradicate the problem quickly and efficiently. The product's active ingredient, permethrin, is toxic to the nerves of head lice and causes their paralysis and eventual death. The Complete Lice Removal Kit contains everything needed to attack a lice infestation head on, including the Nix shampoo for lice. The brand is recognized for its ability to kill lice and nits and prevent re-infestation. Licefreee! : Many individuals have expressed concern over the dangers of using potentially toxic ingredients found in most over-the-counter products. That's what makes Licefreee! so appealing. (If you're going to be lice-free, you'll probably want to shout it out, so the name does make sense!) It is touted as being pleasant-smelling, creamy, and easy to use. The non-toxic formula is free of permethrin, pyrethrum and lindane - all controversial ingredients typically found in drugstore lice treatments. 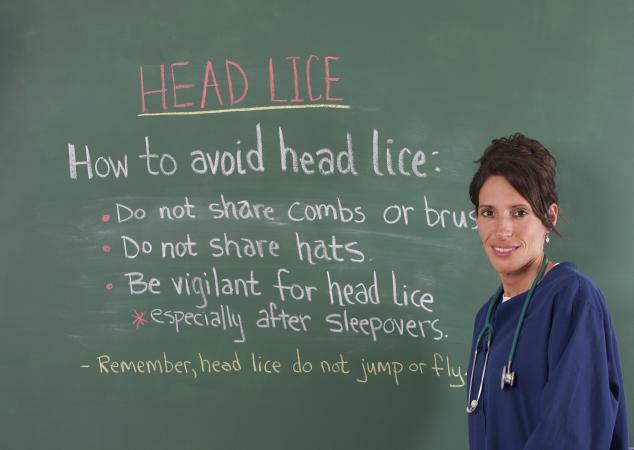 NYDA: When it comes to head lice removal, it is important to pay attention to reviews and recommendations. NYDA has been approved by Today's Parent and was voted the number one pharmacist recommended over-the-counter brand. It has a non-toxic formula, starts to work in less than a minute (58 seconds to be exact), and gets into even the smallest parts of the infestation. User reviews praise the ease of use and effectiveness of this product. Lice Shield: Another commonly used treatment comes from Lice Shield. This company offers a number of useful products, including a 2-in-1 shampoo and conditioner and a leave-in detangling spray. There is also the Ultra Protection Kit, which contains three products to help you tackle an infestation. These items are safe to use, pesticide free, and repel head lice using natural oils. Vamousse: For a different kind of over-the-counter product, consider choosing Vamousse. This is a mousse (much like a styling mousse for the hair) that can be applied right where you want it. It rinses out easily, is non-toxic, and claims to be effective against even pesticide-resistant types of head lice. Since it is safe to use on children two years old and up, everyone in your family can rely on this quick and easy solution. Even the most effective head lice products can leave you with a stubborn problem. Since over-the-counter treatments have a harder time of removing product resistant infestations, it may be necessary to use something stronger. Ivermectin: For quick results, many people are opting to use Ivermectin. The New England Journal of Medicine found that a topical cream of 0.5% ivermectin was able to remove 95% of head lice after one application. Trials found it to be far more effective at treating nits, lice, and eggs than comparable drugstore products. Benzyl Alcohol: According to Medscape, benzyl alcohol 5% is a highly recommended prescription for head lice. The product is applied to the hair, left on for ten minutes, and rinsed off. It kills the infestation by causing the lice to asphyxiate. 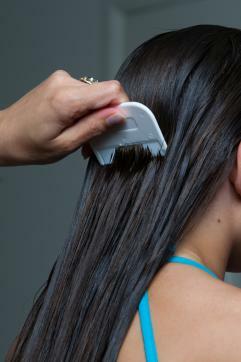 A study found that 75% of test subjects were lice free fourteen days after the second treatment. Natroba: Another option is Natroba, which was listed in Forbes Magazine's article, "3 New Head Lice Drugs Could Change How Lice Are Treated." It combines benzyl alcohol and spinosad, making it twice as powerful at combatting head lice. Clinical studies found it was 85% effective after a one-dose treatment without nit combing. Malathion Lotion: This prescription treatment was on WebMD's list of lice medications. It has the ability to kill live lice as well as remove some of the eggs. The lotion is applied to dry hair (until the scalp and hair are completely wet), left for 8 to 12 hours, and rinsed off. A second treatment may need to be done if the lice is still there after a week or so. Vaseline: Yes, plain old Vaseline has been recognized for its ability to suffocate irritating lice. Rub it into the scalp and on the hair. Of course, the substance is thick, so expect to wash your hair several times to completely remove it. You may add some flour (such as corn or plain) into the hair prior to washing. Olive Oil and Vinegar: This match-up is a deadly duo where lice are concerned. Mix equal amounts of the two and apply to the scalp. Cover with a shower cap for one hour and then shampoo. Mayonnaise: Known to work much like Vaseline, mayonnaise does the trick by smothering the lice. Follow the same directions for Vaseline to achieve noticeable results. Bear in mind, some kids may not be able to tolerate the smell. It will take some work to wash out, too. As with any treatment method, results may vary. Be patient and diligent! It's important to keep an eye on the scalp and check for any new occurrences following these home remedies. Wash all bedding and clothing. Anything worn or used two days before treatment began will need to be thoroughly cleaned. Wash everything with hot water and dry on a high heat setting. Using something like the Eco Defense Lice Treatment for Home, Bedding, Belongings, and More will kill and repel lice from your home. Seal unwashable items in plastic bags. If you have items that cannot be washed in hot water (dry clean only garments or stuffed animals, for example), put them into a plastic bag and seal tightly. Store them somewhere safe for two weeks. Clean your combs and brushes. They should be soaked in hot water for five to ten minutes before being used. Vacuum the floor as often as possible. Though the chances of getting re-infested by fallen head lice is slim (Centres for Disease Control and Prevention says that head lice only survives for one to two days if they cannot feed), it is a good idea to vacuum the floor and any furniture regularly. There are many ways to deal with head lice. Whether you choose an over-the-counter remedy, a prescription treatment, or a natural option, it is possible to get rid of an infestation. Do your best to be persistent and patient, and you can get these pests out of your life.